My Cluttered Corner: People are Good Giveaway and Hello Cupcake! People are Good Giveaway and Hello Cupcake! Today I dealt with a frustrating situation that made me momentarily doubt the overall goodness of humanity.Then I took a breath and realized that living a good, kind and generous life and teaching my babies to lead a similar positive existence is the only answer. That having generosity of spirit will make me feel better and in turn put some positive thinking out in the world rather than the negativity I had started off with. SO, it is without further ado, high time for my 300th blog post giveaway! I have some new goodies including an Echo Park Times and Seasons collection pack that I have been setting aside for this giveaway, now I just need someone to send it all to! You will find all the details for entering at the end of this post. 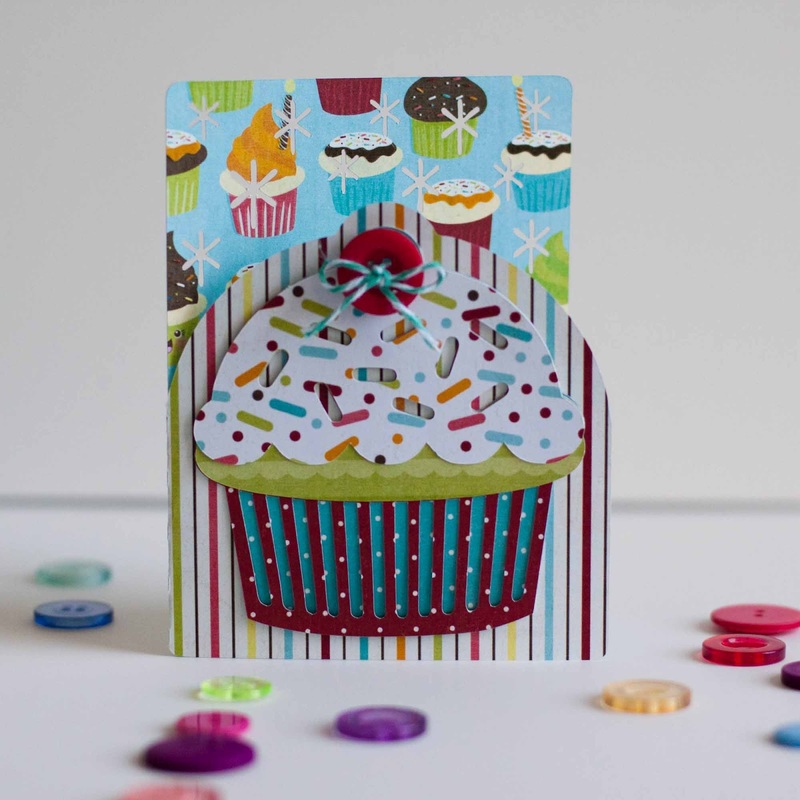 But first I need to share my Imaginisce Hello Cupcake projects. This line is adorable. I love everything about cupcakes--I mean a mini cake I can eat all by myself....what is not to love? I always bring cupcakes into the kids class for the birthdays and come to take pictures (of course!). 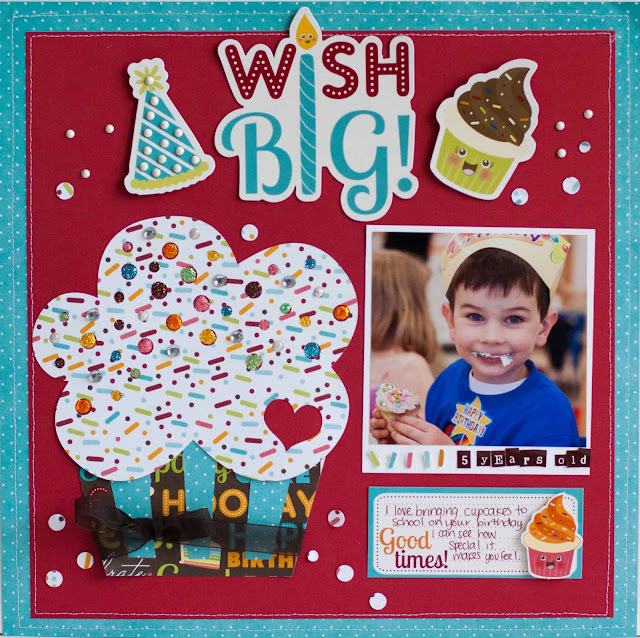 I talk about the Therm O Web Adhesives I used for this layout on the Therm O Web blog today and how to use 3D Zots to create a visual triangle. I also made a birthday card which I already had the chance to give away! Again the Cameo came in handy for making a cute shaped card. I put a stacked journaling sticker on the inside of the card for the sentiment and to sign. So there you have the adorably sweet Hello Cupcake. Now onto the giveaway. It is easy, really. Just comment below and you are entered to win. You can get a second comment for following my blog or commenting that you already follow. You can get a third comment here for going to Imaginisce and commenting there too. And how about you can comment here a fourth time if you go over to Therm O Web and leave a comment there too :) 4 chances to win. I will leave the comments open until Sunday night May 20th. Good luck! What a adorable layout and matching card. I love the bright colours! TFS! and for the chance at some yummy sounding goodies! I am a old time follower in both ways! Just finished popping over to Imaginisce Blog and checking out the rest of the DT project. I must say I am loving the new line. Thanks again for the chance to win. Congrats on your 300th blog post!! I'm a faithful follower. TFS!! sorry to hear that you had a horrible experience--way to keep your chin up! LOVE both of these fun creations! 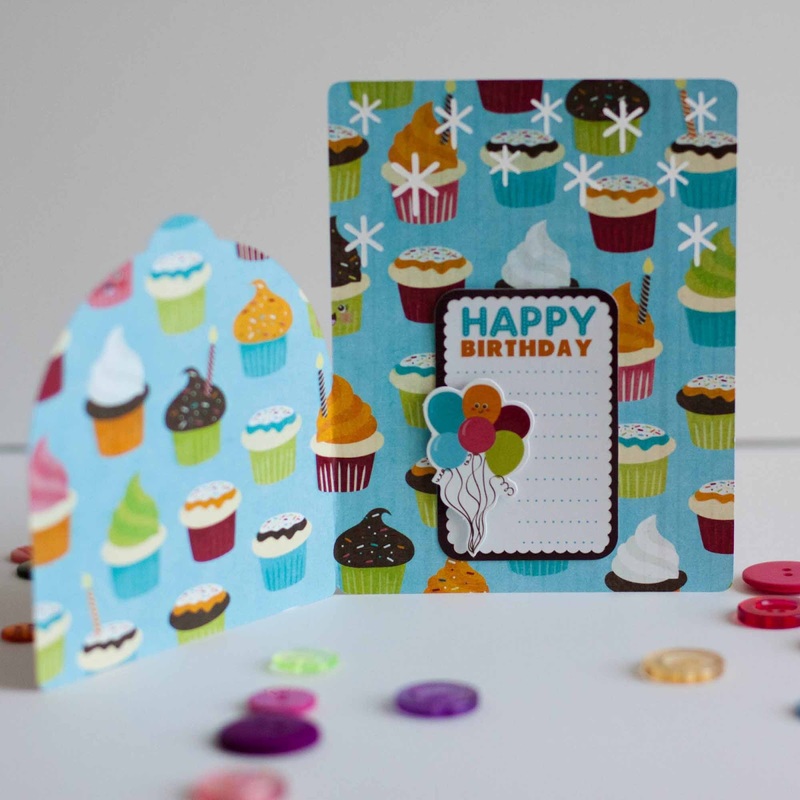 especially the cupcake card! I am sorry you had a sad experience, but happy you were able to move forward from it! 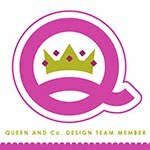 Your projects are super fabulous! 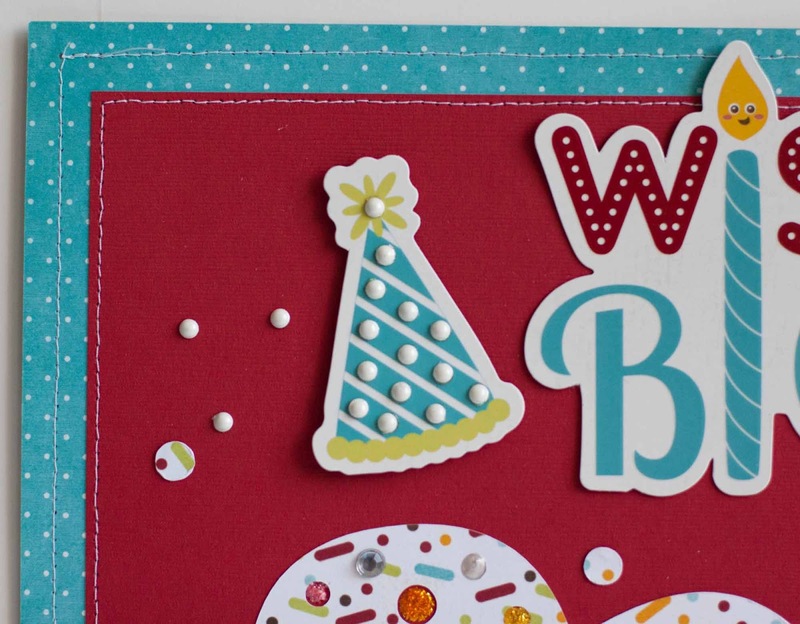 Congratulations on your blog milestone! adorable work!!!! Thanks for a chance to win and have a great day! i already follow you! Thanks for a chance to win and have a great day! You know I stalk you ;) Love love all of these! Esp. the icing face photo of your little man. Why are they growing up so quickly? I am swooning over all the cupcakes!!! I love that big one on your layout and the cupcake card is so much fun!! Love your projects. Awesome card, and I love the photo on your page. So cute. The papers you used are adorable. Love the pic! I'm a follower too. Thanks again! Love what you did with the collection! Really fab!!! Keep your head up!